Three and a half years after the release of my first novella, and reviews are still coming in. Best of all, the reviews only seem to be getting better! Today Google Alerts alerted me to a new review for Let’s Misbehave from Maria at Romantic Historical Reviews. Thanks Maria, and I’m so glad you enjoyed it! Let’s Misbehave is available from Amazon and will soon be available on the other major ebook retailers – watch this space! Thank you to Romantic Historical Reviews for what has just become my favourite review for Prohibited Passion. Reviewer Anita calls the prose ‘beautiful’ and the portrayal of the Prohibition era ‘fascinating’. Best of all, are her comments on the sexual tension – ‘sweet but hot’. Check out the Minxes blog today for a special promotion running 15th to 19th July only: 6 romances priced at only 99c each (77p in the UK). Do you read one particular time period – or do you read quite widely across all periods? This question came up recently on Kboards, the site for Kindle authors, and I’m curious to know the answer. At the moment, Amazon lumps all historical romances into one category. Since there is such a vast range of historical settings, from ancient civilisations to 20th century, it can be hard to find books that appeal to your particular tastes if you are more selective about what you read. It’s particularly interesting that such a large genre is lumped together, when more niche books, like military romance, time-travel romance, holiday-themed romance and sports romance (I kid you not!) have their own categories. What do you think? Do you think Amazon should create searchable sub-categories for different historical settings or time periods? If you feel strongly about this, either as a reader or an author, you can add your voice to the call to Amazon here. Click on the yellow ‘Contact us’ button, log in, then click on ‘Something Else’, select ‘More non-order questions’ from the drop down list, then ‘Give Amazon Feedback’ then ‘Opportunities for Improvement.’ Type your email to them and hit send. I know it sounds complicated but it is easier than it sounds – though Amazon don’t make contacting them easy! Just out of interest: I’ve heard that Barnes & Noble have 17 sub-categories for historical romance! ‘Prohibited Passion’ available for free! 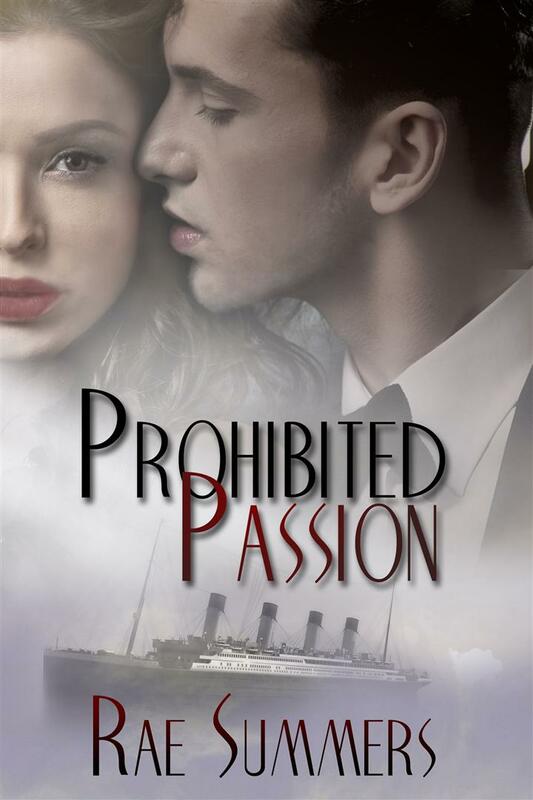 My latest 1920s romance, Prohibited Passion, is free Friday and Saturday on Amazon only. I’d really appreciate it if you’d take the time to download – and if you actually read it and review it, I promise you my lifelong thanks! Set on a transatlantic cruise liner, this short, sweet novella tells the story of respectable English widow Jenny, whose careful life is turned upside down when she gets stuck in an elevator with a suave Prohibition gangster. Prohibited Passion is available from Amazon and Amazon UK. There won’t be another Rae Summers for a while, since I’ll be concentrating on my contemporary novels, published under the name Romy Sommer. 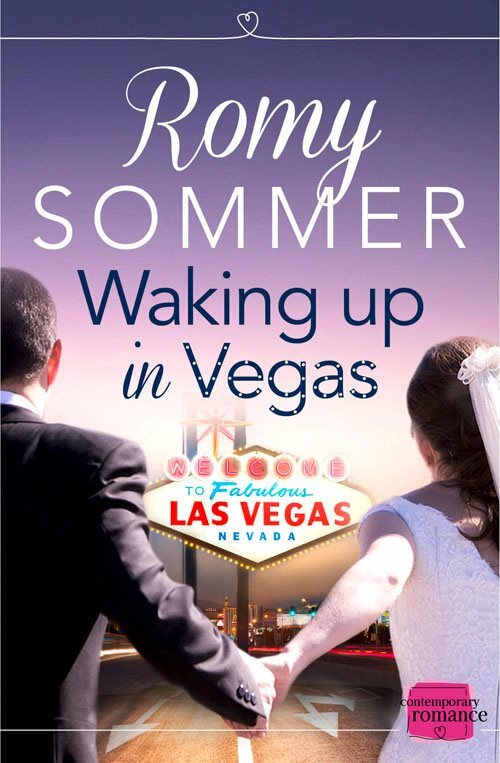 My first Romy novel, Waking up in Vegas, released this week through Harper Impulse, the brand new romance imprint from Harper Collins. Available now from Amazon , Amazon UK , Barnes & Noble and All Romance eBooks. Here’s a sneak peek into Prohibited Passion, which will be released on Amazon on 1st May. Jazz, Prohibition, and a trans-Atlantic cruise liner form the backdrop for this 1920s romance. “It’s a raid!” someone yelled. The music crashed to a stop, and suddenly people were everywhere, running in all directions and shoving around her. Colin grabbed her hand and pulled her across the dance floor, to the back of the club behind the podium. “My stole!” she cried, but the din swallowed her voice. Then she saw a door that hadn’t been there before, where a concealed panel had slid open in the back wall. Jenny followed Colin through the door, hanging onto his hand so as not to get separated from him in the push of the crowd. Casting one last look back at the club, its dazzling lights still shimmering off every surface, she saw that the waiters had begun to hammer wall panels over the bar, concealing the liquor behind a fake façade. Then she was borne away down another long, dingy corridor and out into the cool, crisp air of an unlit alley at the back of the building. They followed the crowd into a side street. The wails of police sirens at the front of the building was louder here. She drew a shaky breath of relief, adrenalin coursing through her and making her blood pump and her head clear. And that was when she remembered Tom. Where was he? Had he got out in time? Or had the police found him? Surely as the owner of the night club, he could not hope to escape unscathed? “This way.” Colin tucked her arm through his and they headed away from the club at a brisk pace, towards Fifth Avenue where they melted into the late evening crowd. Tom had made no move. And she hadn’t needed to make a choice.